We never had much luck growing seedlings. Wrong equipment, wrong soil, wrong timing, whatever. For Christmas I bought CRR a 4-foot-long grow light contraption. Our furnace room hasn’t looked the same since. I figured he would grow some lettuce and maybe some herbs over the winter months. He started out slowly, with various kinds of sprouts. Then boom! Some long-repressed farm gene kicked in, and he went into high-yield mode. Fence row to fence row, in farmer’s parlance. At this moment, there are 133 seedlings thriving under that grow light, stretched from one end of the workbench to the other. Beef Steak tomatoes, Big Beef tomatoes. Celebrity and Indigo Rose tomatoes. And enough Genovese basil to stock an Italian restaurant. 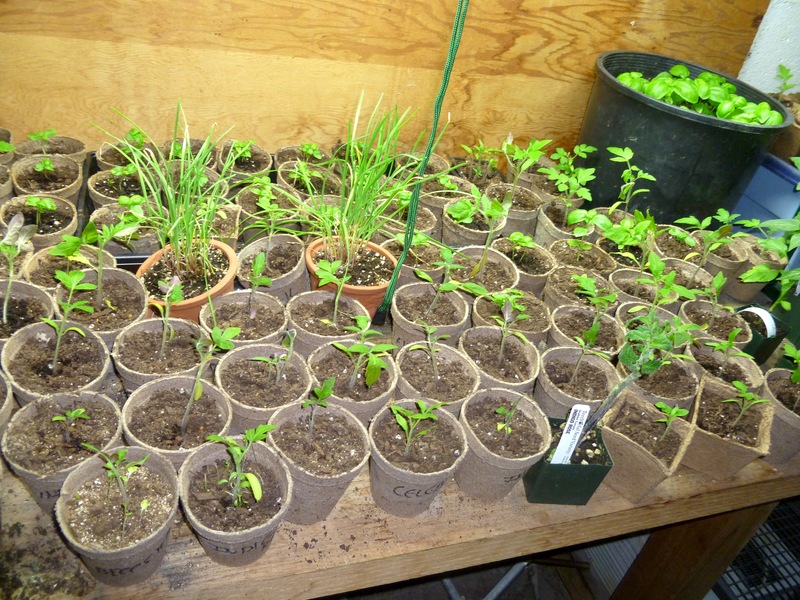 I’m not even counting the dozens of seedlings that are growing in big pots, awaiting transplant. Now, a rational person might ask: What does a family of two intend to do with 133 seedlings, other than eat ourselves into Caprese salad heaven? Like a city version of Johnny Appleseed, CRR intends to spread his seedlings far and wide to friends and colleagues. Are you interested? As the saying goes, you can take the boy off the farm but you can’t take the farm out of the boy. Yes, we’re interested. When’s pickup?